The new event is beginning to celebrate World Soccer Festival! [Event 01] Collect G O A L! G, O, A, L letters will be obtained by Digging in every field in certain chance! Collect 10 of each letters items and combine them into a booster! [Event 02] Collect 2 0 1 8! 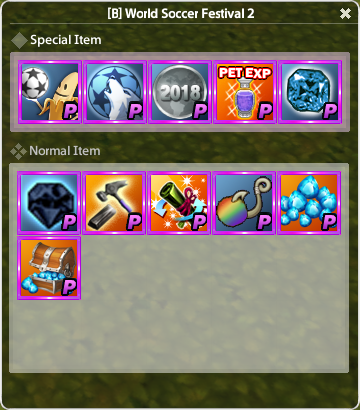 You can get 2018 Event Item Booster by Fishing from any fishing spot in certain chance. The booster contains 2, 0, 1, 8 number items, which is a material of World Soccer Festival 2 Booster. Collect 10 of each number items and combine them into a booster! 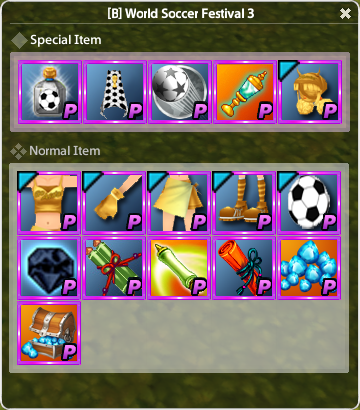 [Event 03] Collect Soccer Balls! This is a chance to get Event Avatars! Ten of Soccer ball event monsters will respawn every 20 minutes on all fields during the event period. Defeat them and get useful buff items and Soccer Ball item! 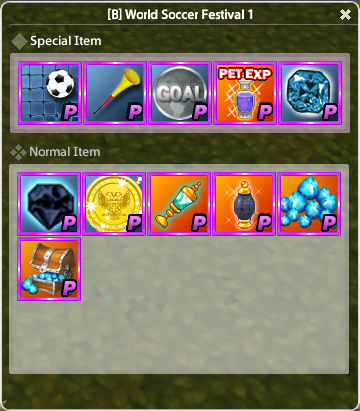 Collect 25 of Soccer balls and combine them into a booster. Turn title tokens from Event 1,2,3 boosters in Captain Ella of Alpen town to get event titles. If you complete all of 3 event titles, you will obtain an extra bonus title!